ARTIST BIO: Philadephia native, Gail Jhonson is no stranger to the world of Smooth Jazz. Jhonson,keyboardist and music director with Norman Brown's Summer Storm, has enjoyede 2 indie label releases. 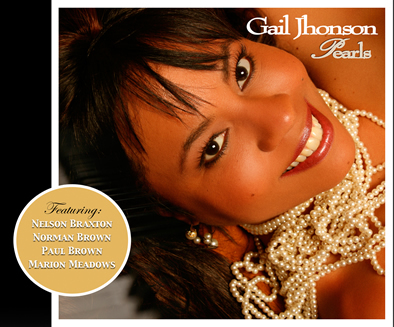 The 1st Lady of Smooth Jazz now has a brand new CD, Pearls! The piano melodies are sweet, the grooves are mesmerizing, the flavor is a compact blend of jazz and R&B. She is accompanied by recording artists: Paul Brown, Nelson Braxton, James Lloyd, Marion Meadows & Grammy award winner Norman Brown. Listen to Smooth Jazz with a feminine touch...Pearls!